Available to STREAM LIVE at the time of event! Follow this link at 5:55pm on Monday 13th October to watch the talks online. This is a free service, however you may be charged for data usage by your provider. Leyton Orient Trust is celebrating its 25th anniversary and as part of those celebrations will be holding a joint seminar with the Birkbeck Sport Business Centre on Monday 13th October from 6-8pm. 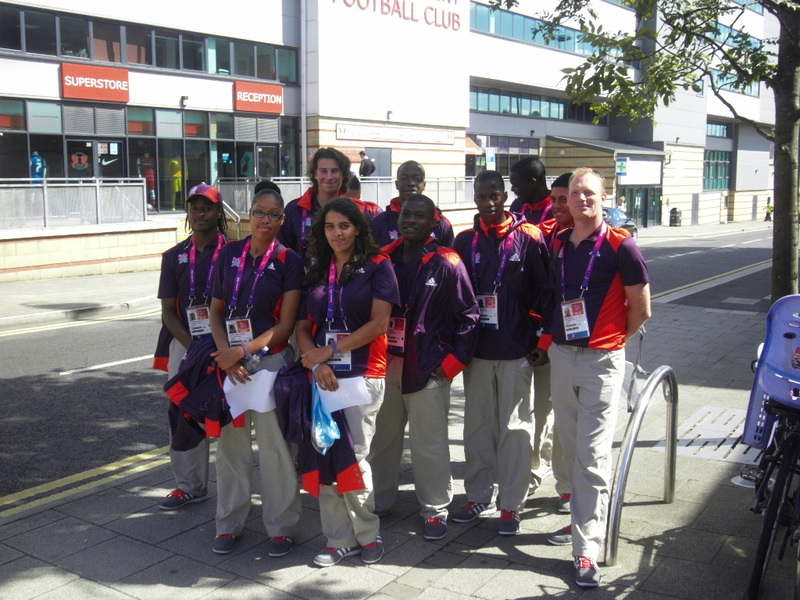 Leyton Orient Trust-trained London 2012 Olympics games-makers prepare to depart Orient’s Brisbane Road stadium for the Olympic Campus at Stratford. In 2014 there are over 90 charitable trusts delivering community objectives on behalf of professional football clubs. Leyton Orient Trust is one of the longest standing and active such trusts. Ranging in size and impact the growth of these charitable trusts in football over the past 30 years has been phenomenal, and they are currently, collectively investing over £60 million per year and so have a considerable social and economic impact in the communities within which they work. Despite this, the sector remains an area of professional football whose impact is under-recognised and and relatively misunderstood. This seminar offers the opportunity to engage with leading contemporary voices from within the football community trust sector as they debate the future of charitable trusts, considering issues such as: how they organise themselves, what services they provide, and their plans for future development in partnership with their football club sponsors. Neil Taylor, CEO at Leyton Orient Trust, has been with the Trust since 1998 and CEO since 2007. He currently sits on the Football League Trust Advisory Board and is Secretary of London United, a co-operative representing the football charities and community schemes in London. Lee Doyle, CEO at Brentford Community Sports Trust (BCST), has been with the Trust since its inception in 1986. Lee will specifically be talking about the role that Brentford’s Trust played in developing and making the community business case for Brentford FC’s new stadium development. Mark Panton is a solicitor and PhD student at Birkbeck College who will present the results of recently published research produced jointly with Dr Geoff Walters on the role of Community Sport Trusts. Brentford Community Sports Club (BCST) website. Paramio-Salcines, J. L., Babiak, K. & Walters, G. (Eds.) (2013). The Routledge Handbook of Sport and Corporate Social Responsibility. London: Routledge.